Anyone who sees an outdoor garden will always admire the beauty of the plants and flowers present. This means that when they are placed indoors, they will have a more exciting effect. Having just one indoor plant will not bring out the beauty anyone strives for and this is why you always find people searching for other indoor plants to add to their exciting ones and use it adorning their homes. Now, with so much to choose from in terms of products, there is also a rise in the difficulty of selecting your kind of plant. This article will guide you to make the perfect choice for the most suitable indoor plant for your home. Once you are done completing the steps given to guide you in your selection process, the next thing is to make your choice based on your preferences. Here are our picks of the best plants for indoor use in 2018. The "Heart-leaf" Philodendron is a very beautiful indoor plant which grows naturally in Southern Brazil. It is an excellent plant for the house because it will flourish in almost any condition. The only condition where it may have problems developing successfully is in the presence of direct sunlight so you should be careful when placing your pot. This plant exhibits its beauty when grown from a hanging pot. This is because it is a climbing or trailing plant. The plant can grow as long as 6 foot or more in length but if it is not supported, the height will remain below 12 inches. The length of the plant is not a problem as it is easy to cut the stem and trim to any size that suits your indoor decoration. Caring for the plant is necessary for it to develop properly. The first step is to ensure that it is grown in an indirect lighting condition. The lighting can be low or sunny as long as it is indirect. It is also necessary to make provision for a balanced plant food every month to sustain the proper development of the plant. The soil in which the plant is placed is also important. The soil should be allowed to dry a bit before it is wet again. Keeping it constantly wet will have an adverse effect on the plant. Give it time to dry about an inch from the surface of the soil before wetting it again. This plant falls below average when you consider the price which is a good thing since you will be getting quite a versatile and unique plant. 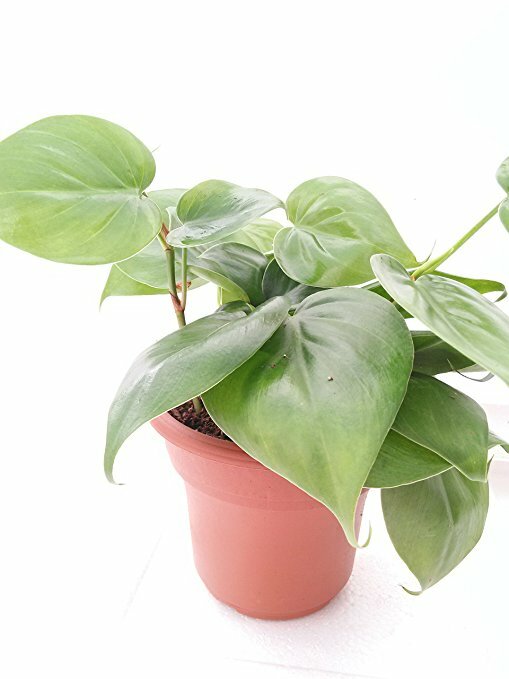 The Heart Leaf Philodendron is quite easy to grow and makes a good selection for an indoor garden or home decoration. Since it will grow in almost any condition, you have little problems with the plant. This Hindu Rope plant may also be referred to as the Krinkle Kurl. This is due to the thick leaves which are green with a lot of twists and curves. Additionally, it is a slow growing plant and will thrive well in a pot in an environment with bright light. And although it takes a long time before they start to appear, the plant also bears beautiful flowers. The flowers are white with a red center, that is shaped like a star, and waxy. Continuing, it is quite easy to care for and maintain. In light of that, watering should not be done in excess as it will easily cause the plant to wither. Also, check the soil to know if it is getting dry before you wet the plant. In addition, the soil to be used should be fast draining with excellent aeration. For the most effective soil, you should mix sand into it to make it loosen up. As an indoor plant, one of the most common household pests which attacks this plant is the mealybug. It may also be a target for aphids. This will require you to spray the plant with a suitable pest solution to prevent it from dying. Fertilizers rich in potassium can also be added to promote the blooming of the plant. It is important to note that when carrying out your routine maintenance of the plant, you should avoid cutting off the stalk after blooming. This will usually lead to the production of another stalk by the plant. This plant is not quite common in western regions and is considered more of an exotic plant. The price also emphasizes this fact, selling at a price higher than average. As a plant native to the far eastern part of the world, the beauty of the plant has attracted enthusiasts from various parts of the world including the western regions. The plant is easy to propagate with little stress as you do not need to water it all the time. Also, it can grow well in front of a window. Dracaena is the Greek word for a female dragon and it is given to this plant as a result of the sap of the plant which is assumed to look like the blood of a dragon. There are also some misconceptions about the plant. One of such is the appearance which is the reason why some people may make an error in assuming it is of the palm family. The plant has dark green leaves which are narrow, spiky, and reddish purple at the edge. Also, the tree naturally sheds it leaves so you don't need to panic when the bottom leaves start falling. Remove them once they fall or as soon as you notice a change in the appearance of the leaves. If you keep a dog or a cat as a pet, you should ensure you watch them closely and restrict them from gaining access to the tree. This is because they have an adverse effect on these pets. Taking care of the tree is quite easy. As long as you avoid direct sunlight, the plant will be okay in any other lighting conditions. An area with bright light and a bit of shade are best for this particular plant. Watering the plant should not be done too often. To know the right time to water, dip your hand about 2 inches into the soil and if it is dry, you should water. You also need to prune the plant regularly. Remember to cut stems which are growing too long and also remove leaves that look like they will fall off soon at the bottom. The Dragon Tree is available at quite an affordable price considering the qualities and features of the plant. One of the few indoor plants which are well suited for survival in outdoor conditions, the Dragon Tree not only gives you beauty but also a long life expectancy. 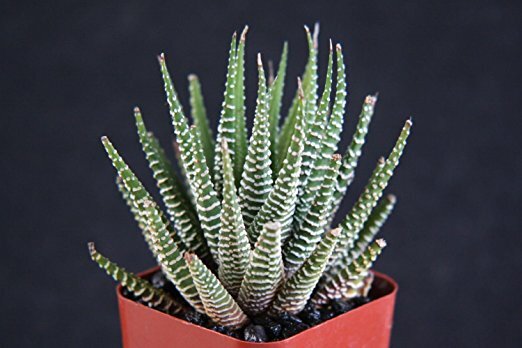 When you see the appearance of the Zebra Haworthia or Zebra Cactus plant, you notice that it bears a lot of similarities to the Aloe Vera plant. This is easily attributed to the fact that they come from the same plant family. The Zebra Cactus can be identified from white warts which are on the leaves. These warts form a pattern of alternating white and green which is similar in design to the white and black on a Zebra. The Zebra Haworthia can grow in different light conditions but it does not thrive in deep shades or areas with exposure to direct sunlight. Watering also does not need to be done too often as it can be affected by over-watering. As a matter of fact, underwatering is tolerable by the plant. The plant is additionally a small one so that's an heads-up if you're concerned about its size. Moving on, the plant is a slow growing plant with spiky edges which are the reason for the name ‘cactus.’ It is also easy to propagate the plant. This is achieved by simply cutting an offset with a bit of root from the parent plant. After waiting about a day for the offset to dry to prevent rotting of the wound, you can use a cactus mix to plant. If you are one who likes aloe plants, then this plant is going to be quite appealing. With its dark green leaves and white stripes, it can be used to beautify your office table or your windowsill in the home. The price of this plant is a little above average. Still, at this price, you get double what you spend when you consider the beauty as well as the ease at which you can propagate the plant. In addition to the spiky edges and white stripes on the plant, its small size makes it possible to arrange multiple pots of this plant to achieve your desired design. This plant loves bright but indirect light. The leaf undersides come in a very radiant reddish-pink which is certain to add a touch of beauty to any home. This plant fancies enhanced humidity. This is related to prayer plant species which closes its leaves during the night, but this one does not. The plant can also be used as a great gift for Christmas. They are very easy to grow and should not give anyone issues regardless of if they are not used to growing plants. Another great feature is that the plant can be trimmed as required so you can rest assured that it won’t overgrow in your home and can be kept at the desired size. This plant does not come cheap, so be ready to flip out your wallets if you want to enjoy the beauty this plant offers. If you are working with a tight budget, there are other cheaper alternatives available on this list that you should go through. 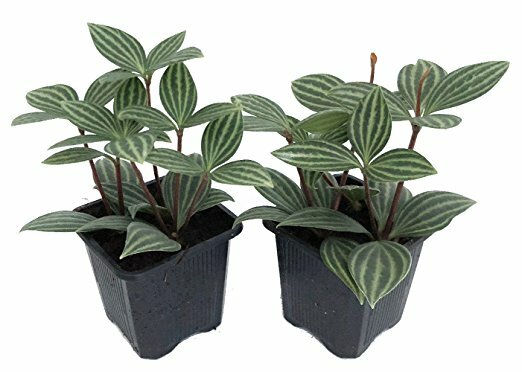 If you are in search of a plant which is very colorful and easy to grow, then the Tricolor Prayer plant is your best choice. There have been complaints that the leaves tip dry up quickly but it can easily be sorted if you have a humidifier. This is an epiphytic plant which means it can survive naturally in rocky crevasses or low soil cracks. 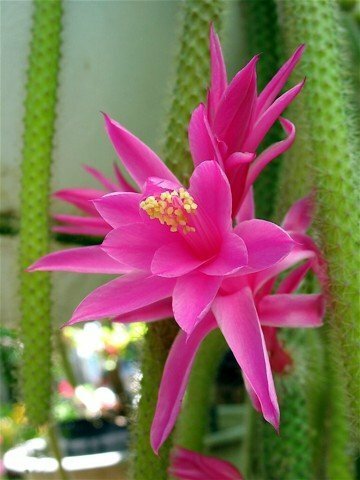 The rattail cactus is a native of Mexico. Taking care of this plant is not complex and can add a touch of beauty to your home. Also, due to their natural ability to thrive in very unconducive areas, they are almost hard to kill and are certain to grow bountifully indoors. They make a great gift for newbies to indoor planting or any fan of plants in general. The plant is also quite appealing as it comes with brief, fine spine. In their later ages, although on rare occasions, they are known to produce beautiful flowers which are either bright pink to red hue. 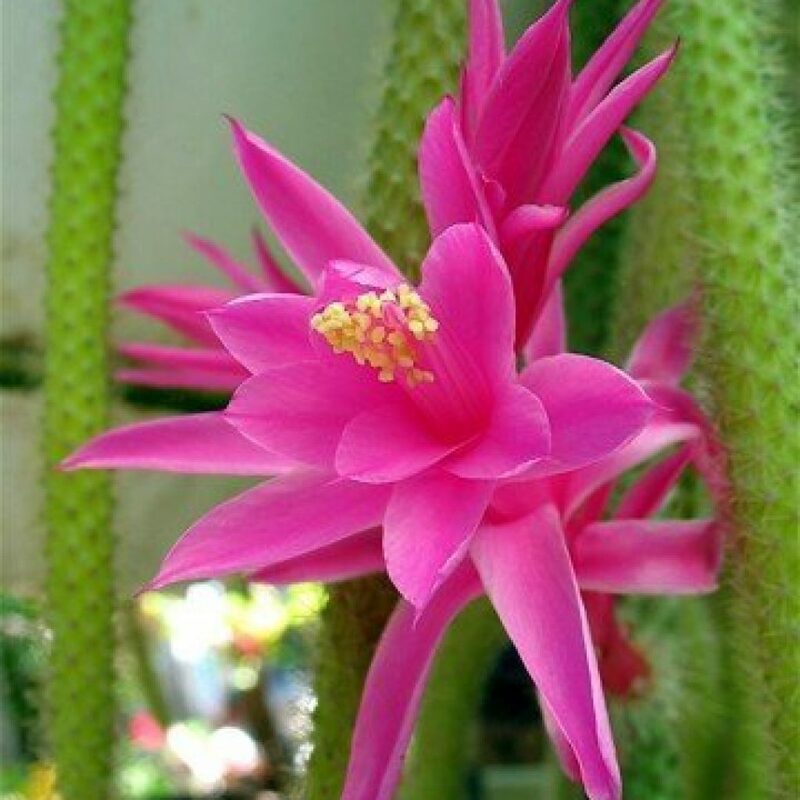 These plants can be trimmed if they grow excessively which is usefully for keeping them at the desired size indoors and if you just happen to be so into the beauty and desire some more, the pruned stems can be utilized in planting new cactus. The Rattail cactus does not come cheap. If you are working on a tight budget, then this may not the right choice for you. Though, budget always differs from one individual to the other. 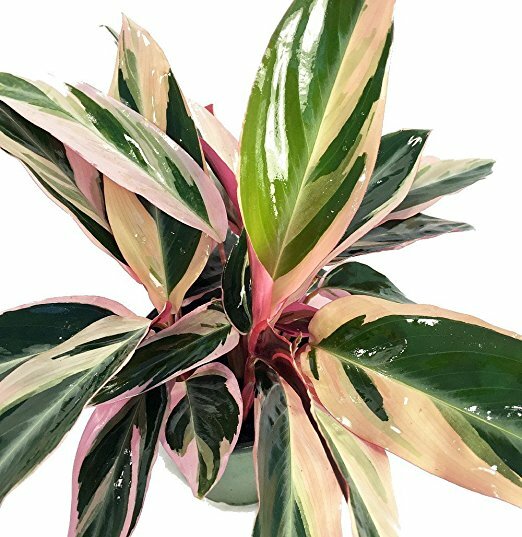 Nonetheless, for individuals who do not mind splashing a few extra dollars on this great plant, then this is worth having a look at during your next hunt for an indoor plant. If you are in search of a plant which grows into a compact size, can be trimmed to keep at a specific size and is easy to care for and groom, then look no further than the Rare Rattail cactus – Aporocactus. There have been complaints about it being smaller than anticipated. The Hirts Peperomia Puteolata is a native to Brazilian rain forests and is found enclosing forest grounds with its fast spreading nature. Although it has an upright growing habit, it is also a bit trailing in nature. It comes with patterned leave as opposed to plain flowers which provide it with a distinct appeal certain to add beauty to any home. For extra points in the looks department, the plant can create little white flowers which come on spikes just like a lot of other plants in its species. This plant would not offer much difficulty to groom and this makes it ideal for a beginner. It is also great for experienced gardeners to groom indoors. With adequate bright light, dry air, avoiding over wetting, as well as avoiding cold and dry air temperature, you can ensure this plant performs remarkably indoors. Greenhouses and windowsills are great locations for this plant to thrive, and on the part of the latter, you have no worries as a little spot on the windowsill will do just fine. This especially helpful if you space is an issue. 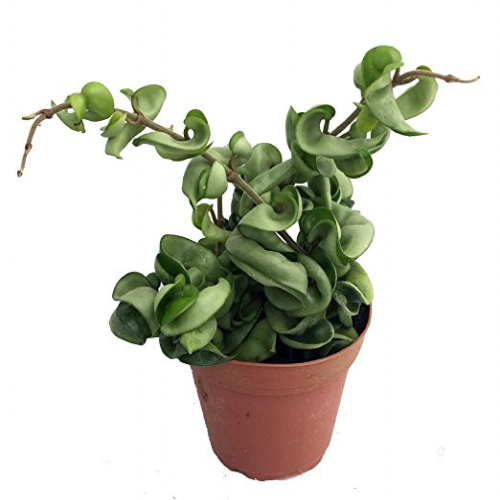 The Peperomia Puteolata can be gotten around the average price range. You do not have to worry even if your budget is on the tight side a bit as this plant is not pricey. 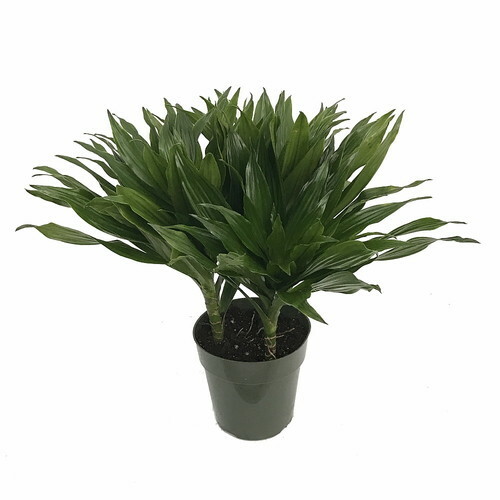 This is a great plant for anyone looking for an easy to groom plant which can even thrive well under artificial lighting and continuous watering. It makes a great choice for individuals living in homes that have no access to direct sources of natural lighting. There have been complaints that it does not look like its picture and comes with just two stems. 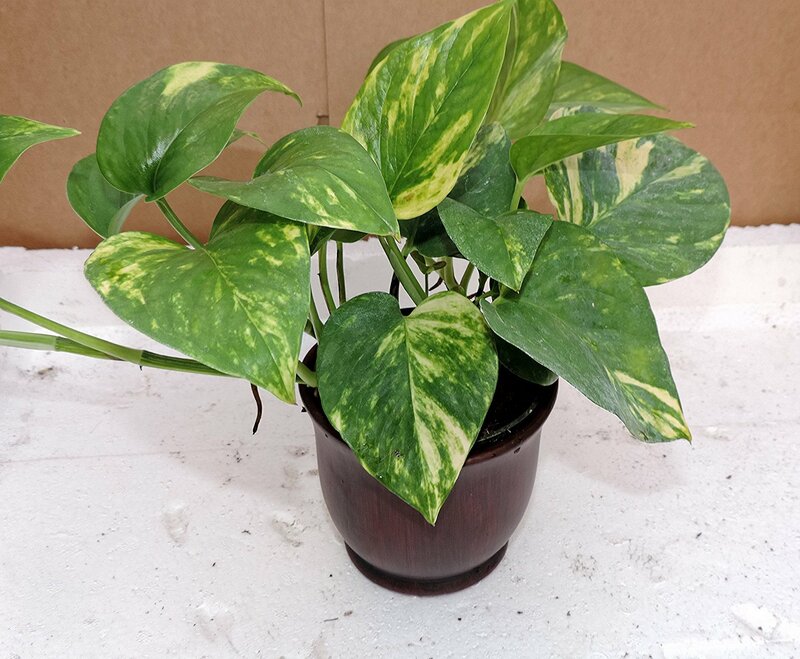 If you are in search of one of the house plants which can be groomed easily, then the JM BAMBOO Heart Leaf Philodendron should definitely be on your list. As long as it is not placed directly under the sun, anywhere it is placed will ensure it thrives. The plant is ideal in a hanging pot and has the capacity to thrive well in soil that is equally moist but not dry nor wet. To keep in the desired size, this plant can easily be cut without it having an impact on its growth. This plant is a very common indoor plant because of its capacity to perfectly thrive even when neglected and killing it is almost next to impossible. These features make it great for newbies to growing or highly busy individuals who do not have that much time to provide more than just the basic care to plants. Although this plant is not the costliest to purchase, it is not that cheap either. It comes at a price higher than the average prices of plants on this list. If you have no issue investing a few extra especially if you have a busy schedule, then this is certainly a great plant for you. 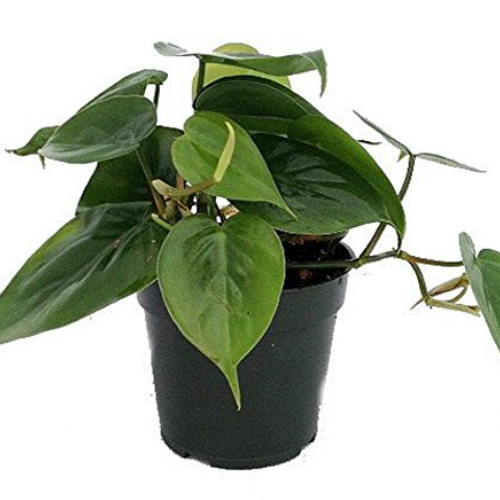 If you are new to planting or you just have an extremely busy schedule and you are in search of a plant that can successfully thrive in any location of your home with basic care, then look no further as the Philodendron cordatum is the best choice for your needs. The plant has been known to get too leggy. This can easily be sorted as you can cut it back to the size you desire. Don't get scared of this plant simply because of its name. The name is a representation of how difficult it is to kill off the plants especially when it starts growing in outdoor spaces. This feature makes it an excellent choice for indoor plant for both professionals and amateurs. In regards to the latter, killing the plant from minor mistakes will be a bit difficult. The plant has plump, round, and flat leaves which are littered with gold which makes it very beautiful. Some people also tend to call it a money plant because its shape and gold patches make it look like a coin. In some areas, this plant is also considered to attract prosperity and good luck when planted indoors. There are lots of benefits of this plant when grown indoors. One of such benefits is the elimination of pollutants like benzene and formaldehyde in the home. It is also beneficial for homeowners with aquariums as its roots in the water help to absorb nitrates. Another trailing plant, it also comes with heart-shaped leaves on the trailing stems. It grows aerial roots which make it possible for the plant to grow on surfaces. For maximum effect, you can use a trellis to grow the plant or you can simply opt for the hanging pot. Since this plant can be found in a lot of areas and is also invasive, it comes at a very affordable price. Maybe the lowest price for any indoor plant. There are a lot of features which make this plant an excellent choice when choosing plants for indoor applications. 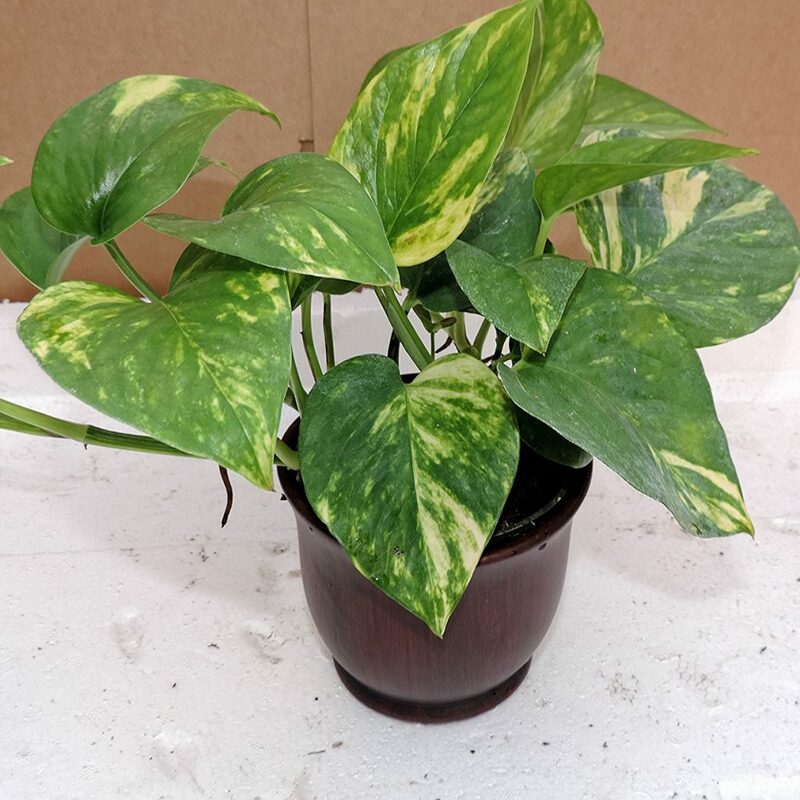 It has beautiful heart-shaped leaves with gold areas that make it a great addition to your home. You can also decide to allow it become a vining plant or cut the vines to grow more of the plant. Essentially, versatility is offered to users with the plant. If you are in search of another plant which can easily be groomed then the Hirt's Gardens Piggyback Plant - Tolmiea menziesii would serve you well in that regard. In other words, its ability to thrive in homes comes really close to the top plants on this list. 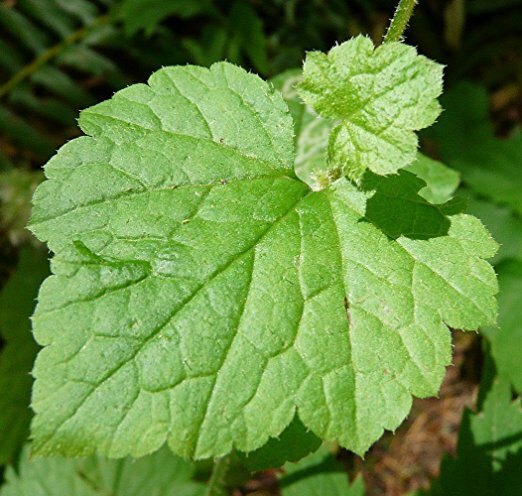 The plant which is a native of North America got the nickname Piggy-back plant because when the plant is mature, new leaves grow straight from the middle of large mature leaves. This is directly at the location the stem is attached to the leaf. The plant thrives well under sunlight as long as it is not directly underneath it and if you are in a home without direct access to sunlight, an artificial light will also do the trick. Because of its ease of growing, the Tolmiea menziesii would make a great gift for individuals who want to start grooming an indoor plant. This plant is a bit around the average price. If you are working with an average budget and don’t mind spending just a bit extra, then this would be a great choice for your home. If you are a starter to indoor planting, and you require a plant that can be easily groomed and does not cost too much, the Hirt's Gardens Piggyback Plant is worth having a look into before your next purchase. Selecting the best plants needs some dabbling with experienced folks and one of the ways to do so is to learn through a survey. The ease with which an indoor plant grows is a significant factor when making your choice. Indoor plants are most enjoyable to watch when they can grow without any hassle or stress. This is why the best indoor plants are those which do not need you to do a lot of work before they start growing. There are a lot of factors that determine the ease of maintenance of a plant. One of such is how it is affected when there is no water for a period. This is in case you will need to be away for a few days. You don’t want a plant that dies off before your return. Indoor plants are also supposed to prefer indirect sunlight as there won’t be access to direct sunlight inside the home. That said, if you carefully observe popular indoor plants, it is easy to note that most do not require lots of water or direct sunlight. In the modern market, you cannot use the price of a plant to determine the quality of the plant. This is due to the availability of diverse companies which are responsible for growing and supplying plants at very low costs to consumers. Still, the price must fit and a typical example is how we selected indoor plants from numerous price ranges. A lot of plants need a bright light without placing them underneath direct sunlight. You may be in luck if your room is west, south or east and facing the sun. But if your room is facing the north and you want to grow some specific plants, you may run into issues. So ensure you determine just how much lighting a plant requires and how much you would have the capacity to provide before making your next purchase. During summer and spring, home temperatures are usually great for a host of plants. But when the cold month come and there is a lot of temperature fluctuation with central heating being put off and on, absence of heating in a room at drastic drops at night as well as cold drafts, a lot of plants can endure but there are certain kinds that do not react to this well and end up dying off. Before purchasing a plant, find out how it reacts during cold temperatures. Pets should also be considered. This is because pets enjoy chewing on almost anything in the home and house plants are not excluded. Some plants come with mild toxicity while there are others that can result in your pet falling quite ill.
For individuals with cats, they can jump even on plants which have been placed above and wreck the plant. It is ideal to check the plant for toxicity before you buy and to also ensure that it will be kept from your pet’s attention. Children: Ensure you consider a great and safe location to place your plants if you have kids playing about your home. You also need to note that some plants are also quite toxic to the skin and can result in irritation when damaged or toyed with. Succulents and Cacti: These are plants which are quite resilient and would make ideal choices for individuals that have issues watering and stay long periods away from home. These kinds of plants have the capacity to survive without water for long periods because their leaves act as organs for storage. Q. What’s the best indoor plant I can buy? A. Regardless if it’s on this list or not, there is no best of anything. For instance, consider how the pros of some the plants above are not shared by others. With that point made, one set of individuals might like some pros and thus a plant better than another plant with a different kind of feature. This runs vice versa and shows how our personal best is not yours. Still, we have that list for a reason and that’s for you to go through it in-depth and pick any product thatspeaks to you. Q. How indoor plants and low light blend? A. Most indoor plants will die if exposed to direct sunlight and this is because they’re mostly tailored to be groomed inside the home. This is a place where the sources of light are artificial and hence, when you expose them to something that opposes that inherent nature, the effects are usually negative.